The AR-15 has been in service as a fighting rifle since 1964 and has proven itself a capable contender. Evolving technology has kept it in the forefront of conceptual design and it continues to be selected in modern iterations to serve. 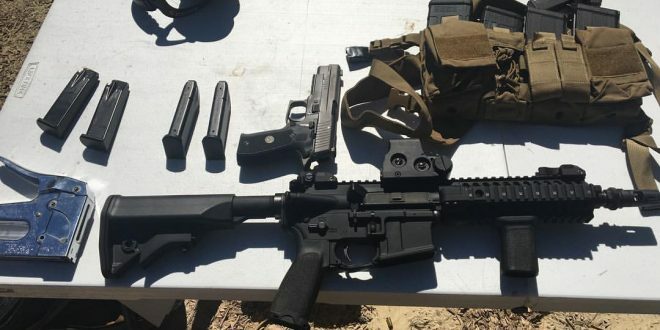 Civilian shooters, Law Enforcement, and the Military continue to put faith and trust in the Armalite Rifle – 15 to keep them safe. Land Warfare Research Corporation International (LWRCi) is one of those companies on the leading edge with the AR platform. Formed in 1999, LWRCi was a CAGE research and development firm until 2006 when they were bought out by their management team and restructured to start producing firearms. Their M6 line of rifles have been on the forefront of AR-15 evolution in the 21st century and they have a multitude of first class rifles and carbines in their lineup to suit an equally diverse set of individual needs and mission requirements. This includes an excellent array of personal defense options. Most AR-15 owners, including myself, have a conventional 16″ barreled rifle. This rifle is compliant with all the federal and applicable state laws and while it makes an exceptional home defense tool its utility for a civilian outside the home is limited to nearly zero due to federal transport laws requiring the rifle be unloaded, secured, and isolated from ammunition. Thanks to legislation here in Michigan I have a workable solution, and depending on your state laws you may also. 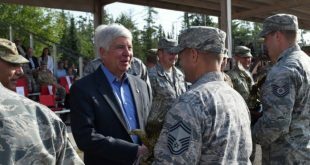 SBR (Short Barreled Rifle) or SBS (Short Barreled Shotgun) that are 26 inches or less in length must be registered as pistols in Michigan: MCL 750.224b(4). That length is measured from the shortest operational/fireable length, different from the ATF’s on file length for the same rifle (longest fireable length) and may not include the threaded on muzzle attachment. 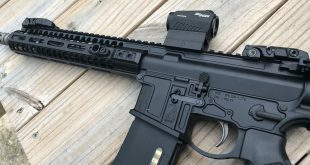 For quick reference that’s just about every AR with a conventional length adjustable stock and a 10.5″ or shorter barrel, they are legally covered as handguns in Michigan. The LWRCI IC PSD | Individual Carbine- Personal Security Detail weapon delivers rifle cartridge firepower in a size usually reserved for sub machine guns. The IC PSD’s designed to be an ultra compact personal defense weapon. The M6A2 is their legacy version of the current Individual Carbine rifles. It’s an impressive pedigree of premium rifle features that LWRC uses to ensure a functioning high endurance carbine. It’s the minimum fireable length of 25″ that allows this rifle to secure its position and become my personal defense weapon choice. It complies fully with my Michigan concealed firearms laws by meeting the required definition of a handgun. The PSD is subject to all the provisions of Michigan’s concealed carry laws along side my P226 Legion. This has expanded my everyday carry options and routine. From front to back the rifle comes stock with a birdcage A2 on a heavy profile barrel. Two captured screws on the front of the handguard retain the top cover rail over the gas piston, loosening both allows the easy removal and reinstall of the top cover without affecting the front sight zero to clean and service the piston and gas block. The quadrail handguard clamps around the barrel nut using four torqued vertical screws giving a rigid aligned fit and two QD sling points. 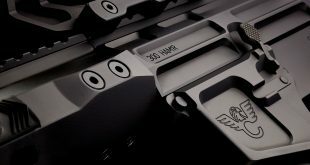 The current lower receivers are ambidextrous with magazine releases, traditional bolt catch designs, and safety levers on both sides. The installed trigger is a nickel-boron coated mil-spec pull weight. The bolt carrier is standard for short stroke piston rifles with a solid machined carrier key strike face and a built up rear to compensate for carrier tilt, it also features a nickel-boron high lubricity finish. The charging handle is a vanilla AR15 variety as is the rest of the upper receiver itself with forward assist. Finally the rifle is end capped with a carbine receiver extension/buffer tube, an H2 buffer, and the LWRC Compact Stock for an enhanced cheek weld with a lower profile and QD sling points. Taking the ‘out of the box’ configuration to the range produced some excellent initial results with a quick M4 style BZO (10 shots from 25 meters) I could stack rounds into the center each trigger squeeze. Moving around with the light unencumbered M6 PSD puts the M4 in the corner, the PSD is agile. The nickle-boron trigger broke exactly how I want a mil-spec trigger, clean and predictable. The most telling result was off hand shooting steel. The 8.5 x 11″ plate 60 meters away was easy to ring repeatedly from standing or kneeling with the skirmish sights. It was a ready to go rifle, just add ammo. The A2 birdcage flashhider was swapped for an AAC 51T Breakout Muzzle Break/Flash Suppressor for suppressor ready future use. Finishing out the kit for any defensive rifle should be a quality light and quality optic. In my case a HSP (Hailey Strategic) Inforce WML and a Trijicon MRO (currently). I’m in T&E on several reflex style optics for this application and the MRO is the current front runner. The PSD has proven itself to be the peer of or superior to any AR I’ve shot to date. The short barrel doesn’t hinder accuracy but will limit the effective ranges due to velocity loss, but even if we put that distance at 200 meters its still 10 times greater than I can use my P226 with confident hit probability. After 7 months of use it is my go to gun. For home defense the PSD’s control placement and size make it an excellent option for moving and clearing. It moves though doorways with ease and allows me to move chairs, open doors, and move with minimal hindrance while having the rifle at the ready. Having done the same room clearing with a 40″ long M16 the shorter M6 takes the gold for use. 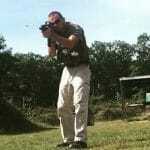 Moving outside home defense is where I needed the PSD to show significant advantages. My reason for it supplanting the IWI Tavor or other bullpup style firearms with this new carbine was it’s increased legal mobility. The M6 delivered on that utility. 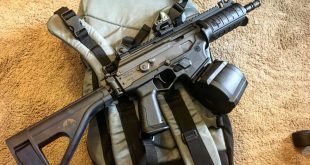 I could move the carbine around the interior of my vehicle, I could draw from the bag I keep it in, It was usable from my driver’s seat with my windows shut fully shouldered and stock in my preferred position. The PSD will fulfill the role of a truck gun or trunk gun as you stage it and secure it to your specific design. LWRC’s M6A2 IC PSD fulfills the role of a high maneuverability ultra compact carbine with ease and should be considered a serious contender for those looking to have this role covered. My specific situation gives the PSD a unique utility and I can use it as an EDC firearm. There are a few considerations I want to point out as we conclude. First is that on body carry for this rifle, like any SBR type, is still difficult to the extreme and requires thicker heavier clothing and specialty load bearing equipment. It is a mission specific set up and it is not how I carry the rifle day to day. A bag carry system is possible but at 25″ its a hard search and investment in a discreet backpack that size. More practical options require modifying the PSD significantly. Bag carry also falls into the carry theories and practices that separate the firearm from the user, not as secure as on body and must be done with caution. I prefer the staging method, the PSD has a staged position at home, in my vehicle, and at several destinations I frequent, including work. Secondly, SBR’s are loud. I set this one up for suppressor use for practical reasons. A 5.56 round indoors is deafening. That same round burning far less powder inside the barrel because its half length is exponentially more deafening and blinding. I strongly recommend a suppressor. Short that, be very aware of the fact you’re bringing the noise to your ears first. You might not have time, but if you do use ear protection. Worst case scenario, brace for loud noises. Third, this rifle is a Short Barreled Rifle and subject to the National Firearms Act. The PSD must follow those NFA rules governing possession and transport. Out of state travel is a complication. Even purchase is a delayed process through the ATF Form 4 and Tax process, taking six months to complete in my case. The NFA is probably the greatest hurtle but once navigated it gives you a uniquely capable tool that happens to be a hell of a lot of fun too. The rifle is worth it. Previous Happy New Year from 248 Shooter!